Bollywood actress Deepika Padukone is all set to narrate the epic saga of bravery and fearlessness with Chhapaak. The film features a story of acid attack survivor Laxmi Agarwal. We can hardly deny, Deepika is an epitome of talent and great acting skills. She surely miffed us with her performance in Goliyon Ki Raasleela Ram-leela, Padmaavat, Bajirao Mastani and many more, but she never fails to set the bar high for herself with every performance she delivers. Such is the case with Chhapaak! 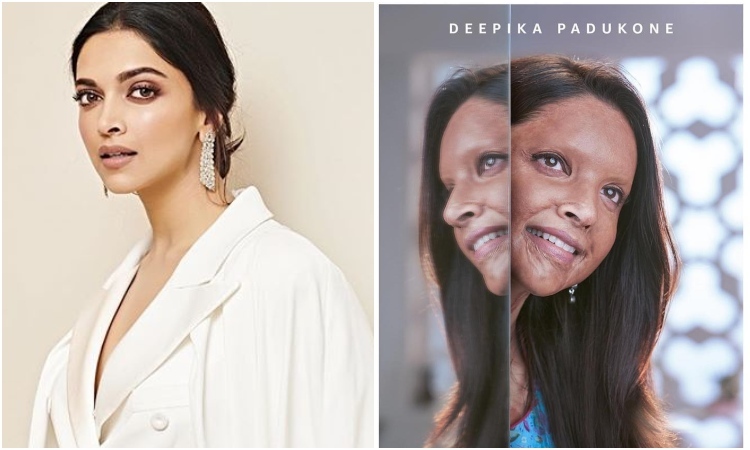 The actress has left us speechless with her first look in Chhapaak. And it is truly Stunning! The film is helmed by Meghna Gulzar, it also stars Vikrant Massey in a pivotal role. Chhapaak will be the first film produced by Deepika as she ventures into production. The film is about the undying human spirit and complete determination. The main protagonist, Malti aka Deepika will be seen as a woman who goes through serious trials and tribulations and it will showcase the journey of her coming out as victorious in the end.